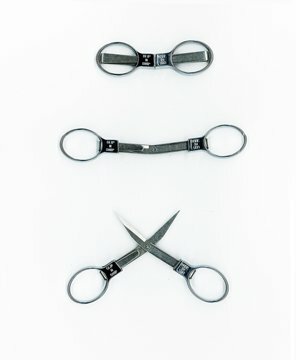 Folding scissors that can travel and take up no room in your purse. Nice sharp tips for needlework. Stainless steel.